Carob is frequently used as a substitute for chocolate because it can be made to taste and look similar to chocolate. Additionally, carob is often touted for its high nutrient content. However, closer examination reveals that both carob and chocolate both are quite nutritious, as long as they do not contain large amounts of added fat or sugar. Carob is significantly lower in fat than chocolate. 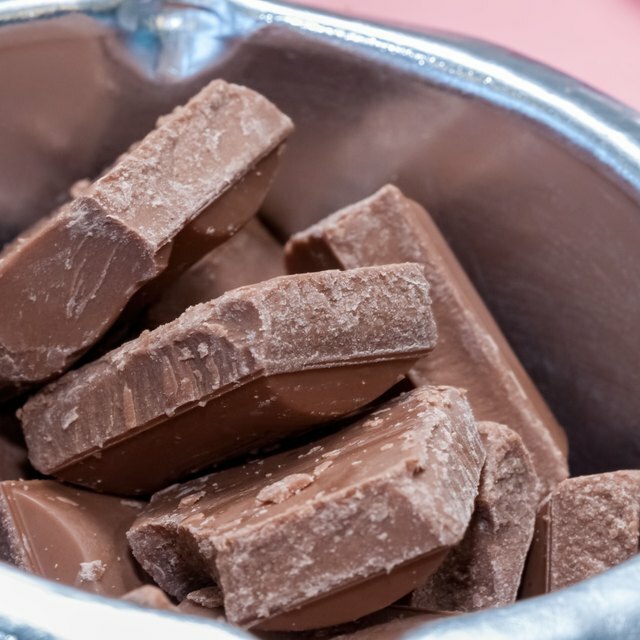 According to the National Nutrient Database for Standard Reference, 1 ounce of unsweetened chocolate contains 15 grams of fat, while 1 ounce of carob flour, which is about 1/4 cup, contains 0 grams of fat. The same amount of cocoa powder, which has had much of the fat-containing cocoa butter removed, provides 4 grams of fat. Carob is a good alternative if you are following a low-fat diet, but carefully examine food labels, because carob-containing products may include added fat from other sources. Another distinctive difference between carob and chocolate is the carbohydrate content. Chocolate contains about 8 grams of carbohydrate per ounce and cocoa powder 16 grams per ounce, but both contain 0 grams of sugar. Carob flour, on the other hand, provides 25 grams of total carbohydrate and 14 grams of sugar per ounce. Just as carob products often contain added fat, many chocolate products contain added sugar, which would offset this difference. Both carob and chocolate are also sources of dietary fiber, containing 11 grams and 5 grams per ounce, respectively. Both carob and chocolate contain a variety of B vitamins, but carob contains higher concentration of these essential nutrients, including thiamin, riboflavin, niacin, vitamin B6 and folate. Neither is a good source of vitamin B12, which is found mainly in animal products. Both carob and chocolate are also sources of many essential minerals. 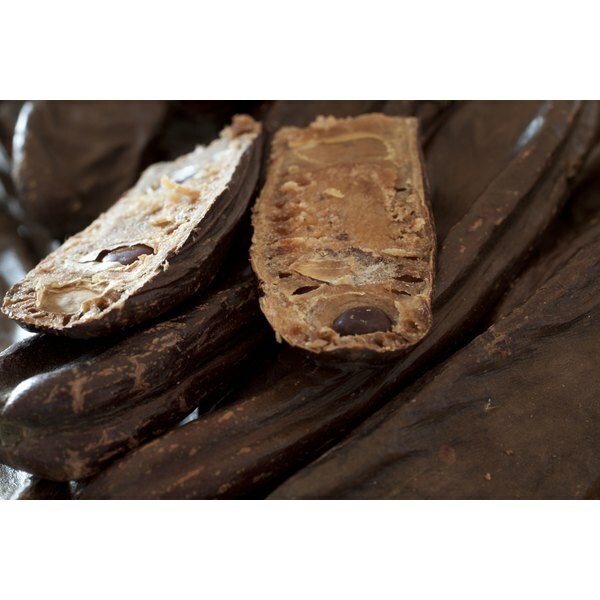 Carob is particularly high in calcium, containing nearly 100 milligrams per ounce. Calcium is an important mineral for maintaining bone health, according to Medline Plus. Both are rich in iron, magnesium, phosphorus, potassium, zinc, copper, manganese and selenium, but chocolate contains higher concentrations of each of these minerals. One of the more important differences between carob and chocolate is the level of stimulants they contain. Chocolate contains small concentrations of caffeine and another stimulant called theobromine. According to Medline Plus, certain individuals should limit caffeine intake, including pregnant women and some people with heart conditions. These individuals could use carob as a chocolate substitute, since carob does not contain caffeine or theobromine.